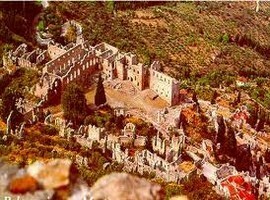 Six kilometers northwest of Sparta lay the now ruined Byzantine city of Mystras, which was a milestone in the history of culture and art. 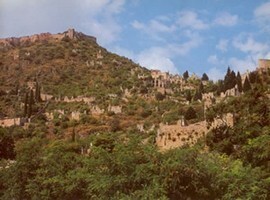 In the mid 13th century, the Franks had conquered the Peloponnese. 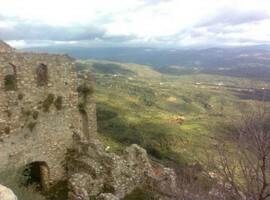 The Villehardouin II built in 1249 the castle on the east side of Taygetus at the top (620 m) of a steep mountain called cheese. 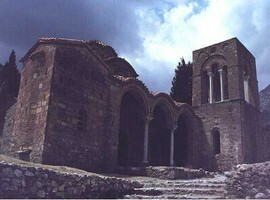 He incorporated Mystras at the core of his imperial possessions, launching a glorious history that made its cycle after six centuries of drama. 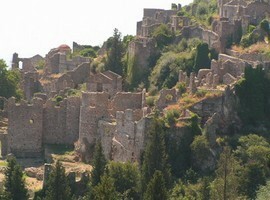 In 1249 the French Prince built on the Hill Myzithra the famous namesake castle, which was soon destined to develop into a unique castle and one of the major Late Byzantine cities. 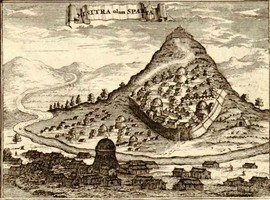 The inhabitants of Lacedaemon began to build there for greater security, at the slope of Mystra and around the castle in order to have more protection by the prince. 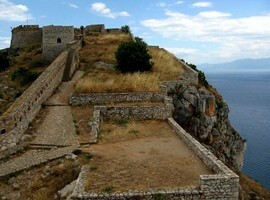 The construction activity extends beyond the walls and so a second wall to protect the new settlement was built, thus forming the so called Lower Town. 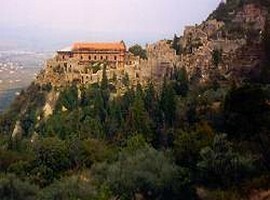 Within two centuries after being delivered in 1259 in the Byzantine Empire, meanwhile changing hands between the dynasties of Cantacuzenus and Paleologos, the Mystras would become the center of “Despot of the Morea.” At its peak in the 15th century it would claim laurels as the cradle of literature and arts scholars, philosophers and personalities, of the caliber of George Gemistos Plython, a philosopher who founded a philosophical school and left his indelible mark on future generations. 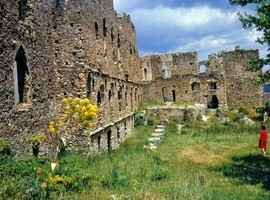 The layout of the castle into three zones (Upper, Lower and Outside Country) offers visitors the opportunity to travel through time and admire the architecture, art and paintings of important artists, all inscribed in monuments, palaces and churches that have survived until today. 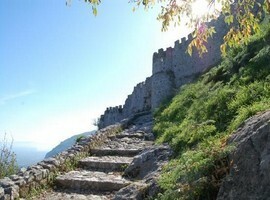 In the Upper Country you will be captured by the look of Palaces of the Despots built from the 13th to the 15th century. 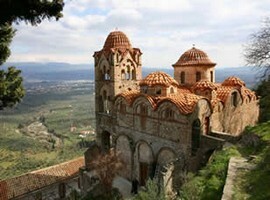 On the top, lies the church of St Sophia, the chapel of the Palaces. 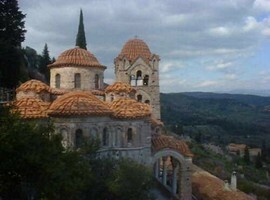 At the Lower Town you can see the church of St. Demetrius. 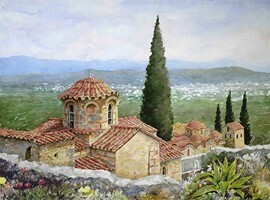 Here in the center of this mixture basilica with five-domed cruciform was crowned on January 6, 1449 the last emperor of Byzantium, Constantine Palaiologos before dying at the Fall of Constantinople on May 29, 1453. 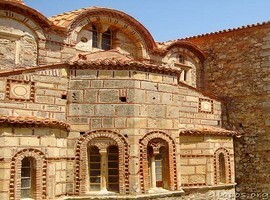 The endless chain of temples including even the “St Theodor,” the “Evangelistria”, the “Pantanassa” with elaborate decoration, the “Saint John of the buffalo,” where you can quench your thirst at the fountain built by the pilgrims of the season, “Santa Barbara” and “Saint George”. 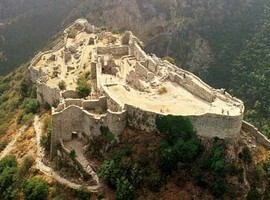 The list is really endless. 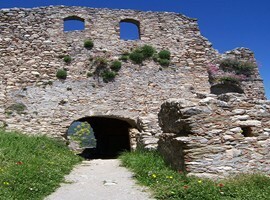 The conquest of the summit of the castle town brings you to the height of the Frankish castle and from there you will be able to supervise the valley of Lacedaemon. 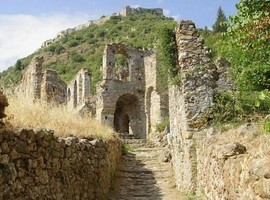 The friends of trekking will satisfy their concerns choosing the paved paths that start from Parori’s hole, and other districts of Mystras and reach the tops of mount Taygetos. 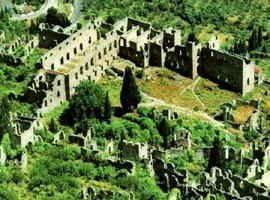 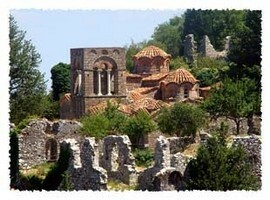 Do not forget to visit the museum of the archaeological site of Mystras. 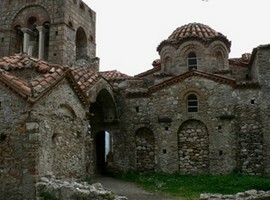 It is housed in a two-storey stone building in 1754 and includes several collections of reliefs, manuscripts and jewelry. 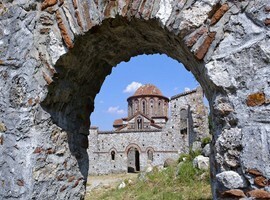 In New Mystra you will find any souvenirs that you want and you can relax in a guesthouse or a hotel.